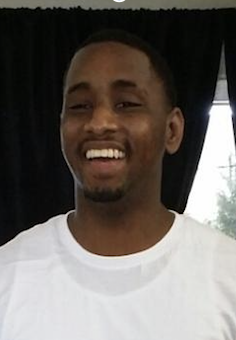 Caddo Parish, Louisiana prosecutors formally dropped charges against Rodricus Crawford (pictured) on April 17, exonerating him in a controversial death penalty case that had attracted national attention amid evidence of race discrimination, prosecutorial excess, and actual innocence. He is the 158th person exonerated from death row in the United States since 1973. Crawford was convicted in 2012 and sentenced to death on charges he had murdered his one-year-old son. Crawford's appellate counsel, Cecilia Kappel, argued that the testimony underlying his conviction—the opinion of a local doctor who claimed the infant had been suffocated—was contradicted by autopsy results that showed pervasive bronchopneumonia in the baby's lungs and sepsis in his blood. After the trial, Kappel presented additional evidence from experts in the fields of pediatric pathology, pediatric neuropathology, and pediatric infectious disease that the child had died of natural causes. In a statement announcing that it was dropping the charges against Crawford, the Caddo Parish District Attorney's Office said, "New evidence presented after the trial raised questions about the degree of pneumonia together with bacteria in the child's blood indicative of sepsis are possibilities that require consideration. ...The death of a child is a tragedy under any circumstance for the victim, the family and the community as a whole, but this office is charged with the task to consider all of the evidence in a case and to bring a charge when the evidence can support it. For these reasons, the State has elected not to retry Rodricus Crawford." In November 2016, the Louisiana Supreme Court had ordered a new trial for Crawford because prosecutor Dale Cox had improperly removed jurors on the basis of race. Caddo has a documented pattern of racially biased jury selection, with a 2015 study finding that prosecutors struck black jurors at more than triple the rate of other jurors. Data from 22 felony trials prosecuted by Cox showed he had struck black jurors at a rate 2.7 times higher than other jurors. Cox attracted national criticism for questionable comments and practices and his perceived overzealous pursuit of the death penalty. He personally prosecuted 1/3 of all the cases in which Louisiana juries returned death sentences between 2010-2015, and wrote an internal memo on the Crawford case in 2014 stating that Crawford "deserves as much physical suffering as it is humanly possible to endure before he dies." In 2015, he told The Shreveport Times that he believed the state needs to "kill more people." Caddo Parish is among the 2% of U.S. counties responsible for a majority of death-row inmates, and had a death sentencing rate per homicide eight times higher than the rest of the state of Louisiana from 2006 to 2015. Ben Cohen, an attorney for Crawford, said, "This case has always been about injustice and the disproportionate use of the death penalty in Caddo Parish. In deciding not to retry Rodricus Crawford, the Caddo Parish District Attorney’s office is righting this injustice, restoring integrity to their office." Crawford is the second recent death-row exoneree from Caddo Parish. In 2014, Glenn Ford was released from death row after 30 years. He died of cancer in 2015. Corey Williams, who was 16 at the time of his alleged crime and was removed from death row after being found to be intellectually disabled, is still serving a life sentence despite evidence that his confession was coerced and that others committed the offense for which he was condemned. ("Review results in no retrial for Rodricus Crawford," KSLA News 12, April 14, 2017; "Prosecutors won’t retry man in death of his son," Associated Press, April 15, 2017.) See Innocence and Prosecutorial Misconduct. You can read the order dismissing the charges against Rodricus Crawford here.